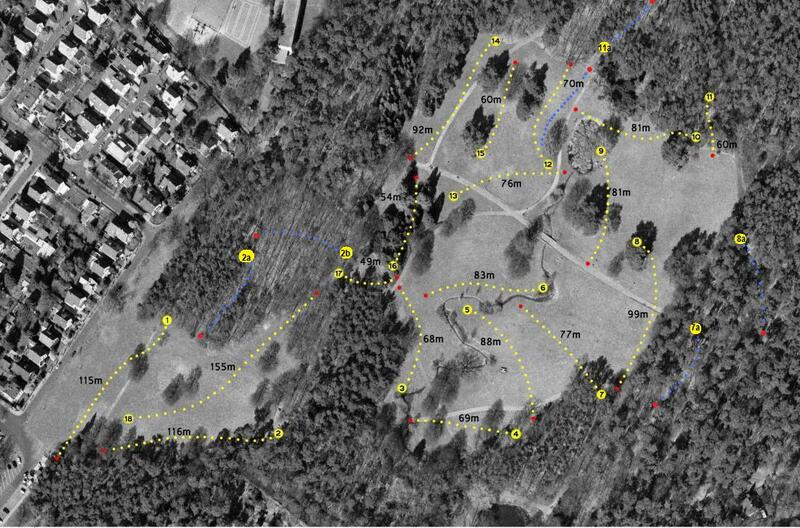 Permanent public park with a mixture of heavily wooded to open fairway formats. Most of the tees are marked in some fashion with a ground marker. Some are constructed along the pea gravel or asphalt walkways in the park and others are carpeted pads within the parks open areas. The tee markers are old, broken up or faded and takes some time to determine which basket or direction off the tee. The course map displayed shows the course as an 18-basket layout, but the map at the Course start shows a 21-basket layout. Park is used by many runners, walkers, dog walkers, and bikers so courtesy and caution must be taken when teeing off. The park hosted the 23rd German Championship in 2014, and the park is maintained by the Scheibensucher (Disk Seeker) DGC the largest club in Germany. 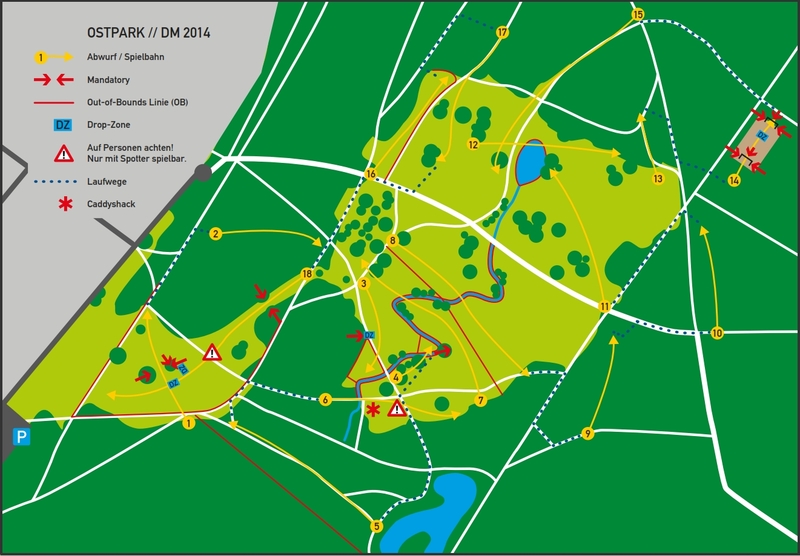 It also conducts several annual tournaments with changes in the course layout and locations. 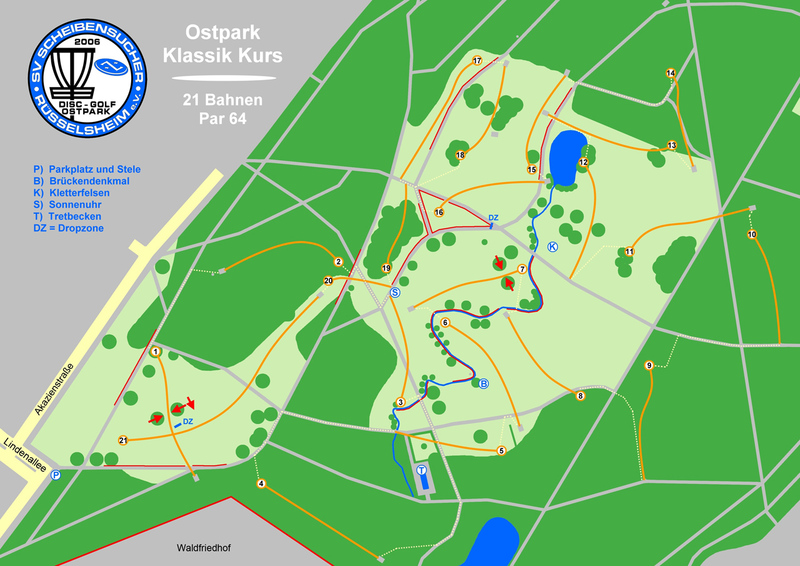 Annual Tournaments: Ost-Park Open - May; Nikolausturnier - Dec; Waldschwimmbad Open - Aug.
Have you played at Ostpark Rüsselsheim? Be the first person to review this course!